The instructions are given to both private and public sector banks to open bank account of each individual of our country. The Yogna is started from 28 August 2014. Month ago PM Narendra Modi Ji launch MYGOV site for common people to share their ideas and now he is going to launch PMJDY for Indian People. The scheme lies at the core of our development philosophy of Sab Ka Sath Sab Ka Vikas. a) 1st of E-KYC to be done through your Driving Licence, Voter Id, Pan Card, Passport, Nrega Card or Aadhaar Card Number/ NPR- After giving your aadhar card no. your details will come in front of computer screen. b) After verifying your bank details under Scheme, your bank account will be opened and your acknowledgement and official confirmation will be received at your address. c) After receiving your confirmation you will get your welcome card and able to operate your PMJDY Bank Account with your finger print through online mode through mobile, internet, computer or at home. a) Your bank account of PMDJY will be open in 03 minutes only. b) You can get 01 lakh Insurance tie up with HDFC Ergo Insurance (Personal Accident Cover). If account is opened on or before 26/01/2015 then you will get Rs 30000/- Life Insurance also. c) There are Rs 5000/- loan or overdraft facility. d) You can recharge your mobile and railway booking facility. e) The Welcome Card received under PMJDY is a RuPay debit card. f) There is a new pension facility also. g) Under this yogna each family has 02 bank accounts at zero balance. If you already have a bank account but do not have a RuPay Debit Card, there is no need to open another bank account. You can get the RuPay Debit Card issued from your existing bank account. For this programme bank camps shall be open till 25 January 2015. 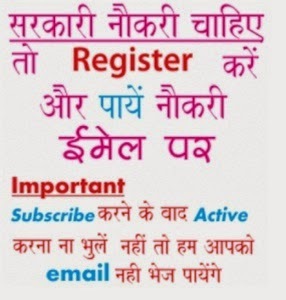 People can contact their nearest bank branch / bank mitr to open their account till this date. The bank camps will be held on every Sunday from 8.00 am to 8.00 pm. Government has decided that benefits can claim by existing bank account holders but they have to apply for the same. These benefits include 01 lakh accident insurance cover and RuPay Debit Card. Finance Minister Arun Jaitely has decided to finalize arrangement of funds for Life Insurance Cover under Jan Dhan Yogna. Rs 50 crore are contributed toward social security fund which is managed by LIC of India to meet the insurance requirements under PMJDY. Punjab Chief Minister Parkash Singh Badal issued instructions to all government officers to cover all household under this scheme till 15 December 2014. The CM said that Punjab will be the first state to achieve this target. The detailed day to day progamme has been made to achieve the deadline. "PM Jan-Dhan Yogna has slogan Mera Khata Bhagya Vidhata"